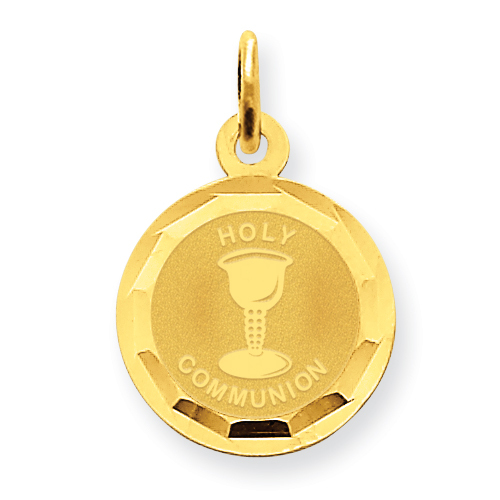 14kt yellow gold Holy Communion Disc Charm. Weight: 0.5 grams. Item measures 1/2 inch round without loop and bail. This petite charm is half the height of a quarter. The body and blood of Christ celebrated at Eucharist recalls the unity of Christ with the Church. This sacrament is also known as First Communion.